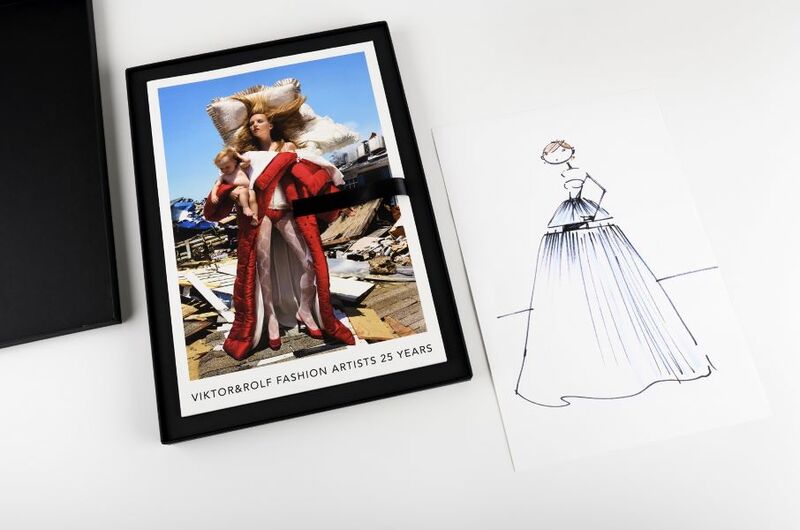 On the occasion of the twenty-fifth anniversary of the Dutch luxury fashion house Viktor&Rolf and the accompanying exhibition in Kunsthal Rotterdam, nai010 publishers presents a sumptuous Collector’s Edition art book with accompanying Viktor & Rolf sketch. 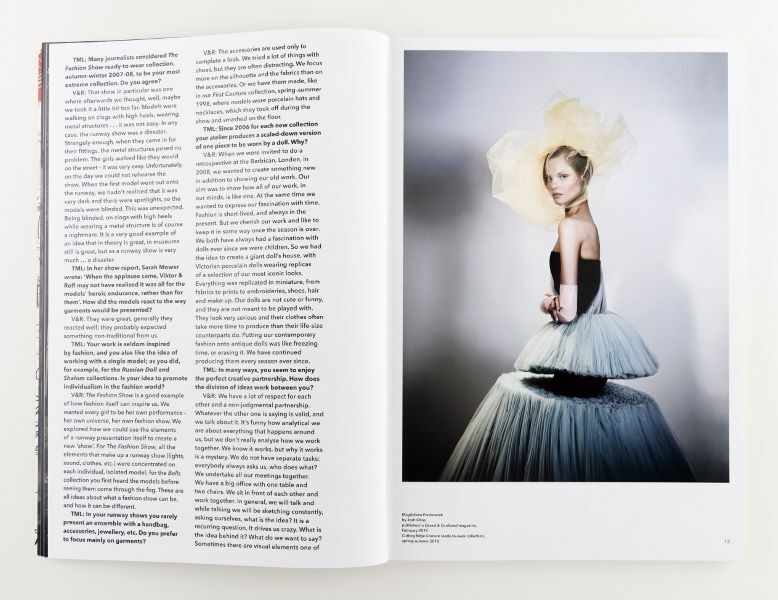 Of the book Viktor&Rolf Fashion Artists 25 Years, 50 copies were signed by the artists. 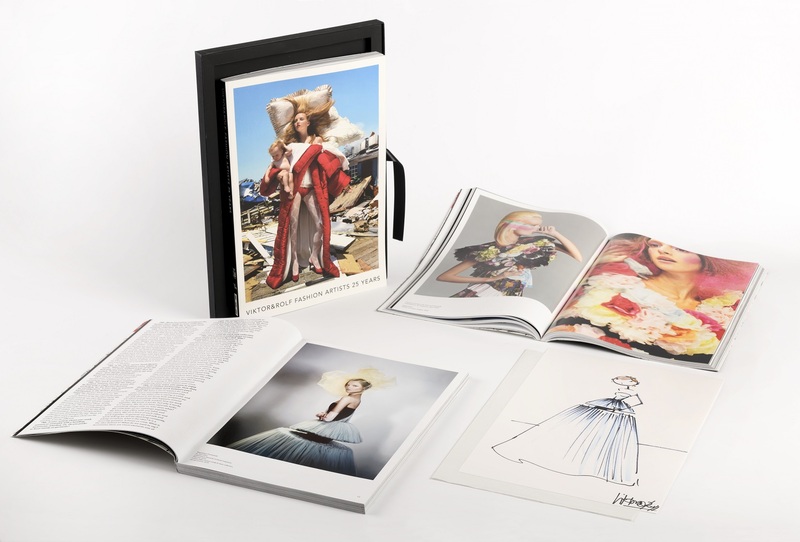 The book is packed with a C-printed Viktor&Rolf sketch, also signed by Viktor and Rolf, wrapped in silk paper and presented in a luxury box with black on black lettering, passe-partout and black release ribbon. Exploring their concept of ‘wearable art’, Viktor&Rolf: Fashion Artists 25 Years features some of the Dutch design duo’s most show-stopping and innovative works. It includes an exclusive interview by curator Thierry-Maxime Loriot with the fashion artists, a fascinating glossary of Viktor & Rolf and a rich iconography with images by leading contemporary artists and photographers from Cindy Sherman to Andreas Gursky, via Anton Corbijn to Annie Leibovitz and David LaChapelle, showing pieces worn by artists like Madonna, Róisín Murphy Björk, Rufus Wainwright and many others. 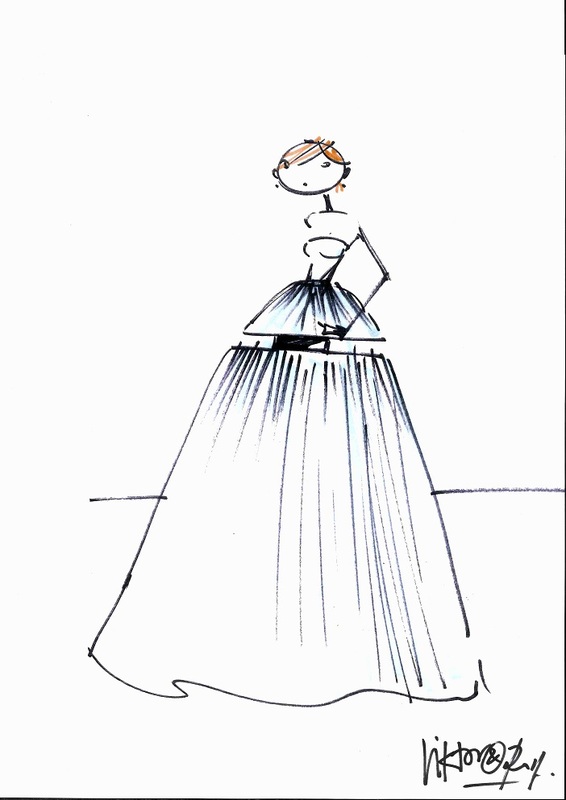 Cutting Edge Couture is a sketch from the ready-to-wear collection spring-summer 2010, originally drawn by Viktor and Rolf with felt tip pen on paper. The sketch is C-printed on 150 grams Arcoprint Milk by Tripiti Printing Company, Rotterdam, wrapped in silk paper and signed by the artists.